A molecular biologist by trade, Barend received his PhD on genetic differentiation of malaria parasites from Leiden University (1986). He performed over a decade of research on malaria genetics and vaccine development and served on the European Commission’s research department for three years. He also gained further experience in science management at the Research council of The Netherlands (NWO). 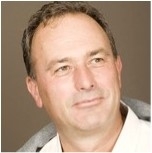 Barend is the co founder of three spin-off companies in biotechnological and semantic technologies. In 2000, he switched back to academia, focusing on the development of semantic technologies to manage big data and he founded the Biosemantics group. His research is currently focused on nanopublications as a substrate for in silico knowledge discovery. Barend is also one of the founders of the Concept Web Alliance, with ‘nanopublications’ as its first brainchild. Nanopublications are currently implemented in the semantic project of the Innovative Medicines Initiative (IMI) called Open PHACTS. The context of this talk will be the need for eScience approaches to 'in silico' knowledge discovery. Barend will talk about the role of semantic technologies, (under)standards and the nanopublication ecosystem in particular. He will challenge several established views in the field of the semantic web, scholarly communication, intellectual networking, science metrics, peer review and ‘data publishing’ with an emphasis on the barriers to break down in order to allow effective data exposure, sharing and integration in the Big Data era.